WASHINGTON. – The US Senate leadership will seek tomorrow to close the debate and decide on the future, at least in the short term, of the Republican bill that would allocate about $ 13,6 billion in disaster relief funds and that has been stopped –mostly- due to differences over funds for Puerto Rico. The Republican majority, which has 53 of the 100 Senate seats, needs 60 votes to pass the bill. According to the calendar, the Senate will first vote on the Republican bill at 5:30 p.m. tomorrow. If the take it to a vote, Republicans would need a majority of 51 votes to pass their bill. If Republicans fail to pass their bill, then they will seek to close the debate on the Democratic bill approved in the House, which included all the initiatives requested by the government of Puerto Rico. If none of the bills moves, the leaders of the Senate Appropriations Committee will have to bring it back to the negotiating table. "There are a lot of demands for Puerto Rico," said the chairman of the Senate Appropriations Committee, Republican Richard Shelby (Alabama). The vote will take place amid the latest controversy over President Donald Trump's efforts to limit or stop funds for the island. Trump thinks that Puerto Rico has received too much aid to mitigate the disaster caused by Hurricane María. This time, the controversy is tinged by Governor Ricardo Rosselló Nevares´expressions – at a time he is requesting a meeting to explain the island´s needs to the President– that if the "bully gets close, I´ll punch the bully in the mouth". 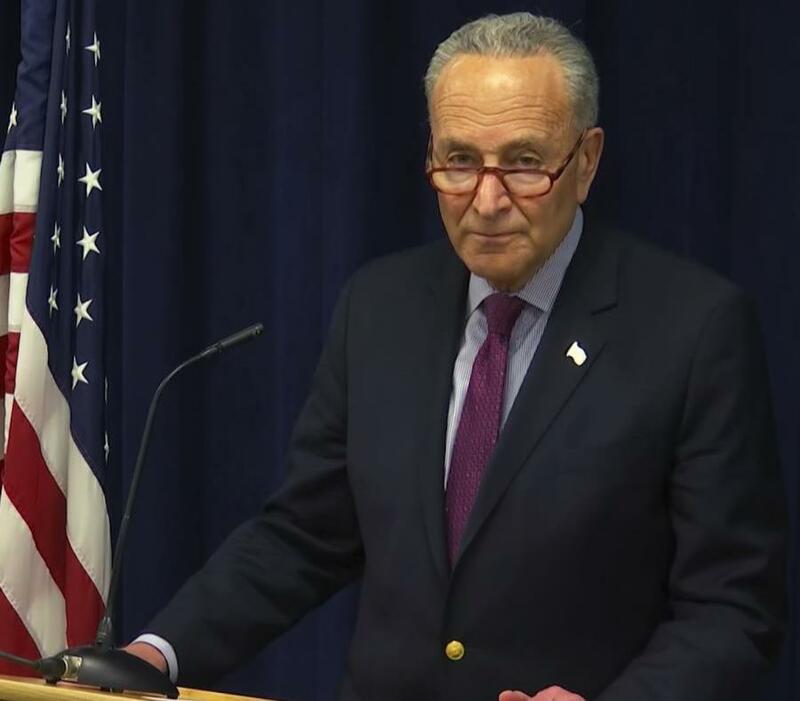 At the end of last week in Congress, Senate Democratic minority leader Charles Schumer (New York) insisted that the Republican bill to mitigate recent natural disasters should include all the initiatives for Puerto Rico already passed in the US House on January. Schumer said the bill that Republicans are trying to pass in the Senate “is never going to pass in the House." The Republican bill includes $ 600 million in nutrition assistance for Puerto Rico and $ 5 million to finance a study on the impact of emergency aid after Hurricane María. But, it did not include other initiatives for the island, such as a waiver for FEMA matching requirements for debris removal and emergency measures related to the impact of Hurricane María, and the $ 25 million for the restoration of Caño Martín Peña approved in the House. Meanwhile, on Thursday, Democratic Senator Robert Menéndez (New Jersey) said on the floor that Puerto Rico received from Trump´s government a “F minus“ treatment, while recently the President promised Alabama an "A plus" assistance, after tornadoes in that stated caused 24 deaths. "But for the majority Latino, Spanish-speaking island of Puerto Rico, there was no “A-plus treatment”. Scott noted that the Republican bill has the support of the island´s elected officials, such as Resident Commissioner Jenniffer González and Puerto Rico House Speaker Carlos "Johnny" Méndez. Both Scott and Republican Marco Rubio (Florida) remarked that if the Republican bill is approved, then "other things" can be done. While Commissioner González urges “for swift Senate passage of the $600 million funding for NAP,” – as she tweeted yesterday–, Governor Ricardo Rosselló Nevares warned that "anything less" than the measures approved by the Democrats in the House "would be unacceptable." An advisor to Governor Rosselló Nevares noted that in addition to a waiver from FEMA matching requirements, the Democratic bill includes funds for water infrastructure and $ 15 million "for technical assistance." For Democrats, pressure on the Senate represents the island´s best chance to receive everything the government asks for. While Resident Commissioner González believes this debate can be solved and can move forward if left to a congressional conference committee that can harmonize the differences between the House and the Senate. “I invite the President to put all of the resources at his disposal to help Americans in Puerto Rico, like he did for Texas and Alabama. No more, no less,” said Rosselló on Thursday. PPD representative Jesús Manuel Ortiz tweeted that "it has become usual" for Commissioner González positions to respond first to the U.S. Republican Party.